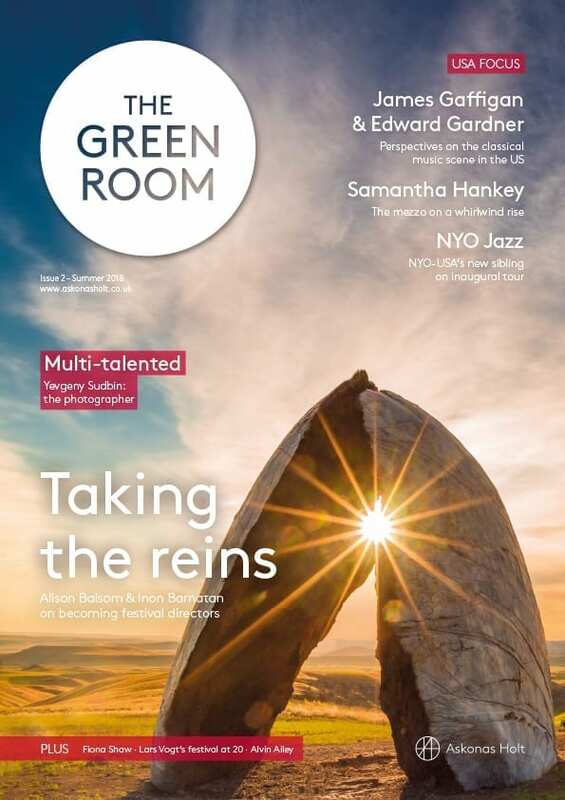 All issues of Askonas Holt’s magazine, The Green Room. Guest-edited by Assistant Artist Manager Nathan Morrison, our final issue of 2018 focuses on collaboration, which plays a big part in both our artists’ performing lives, as well as in our day to day work as an agency. Iain Burnside writes about his Russian song series at Wigmore Hall; telling us how it came about, what attracts him to the repertoire, and even what Russian song and Ferraris have in common! 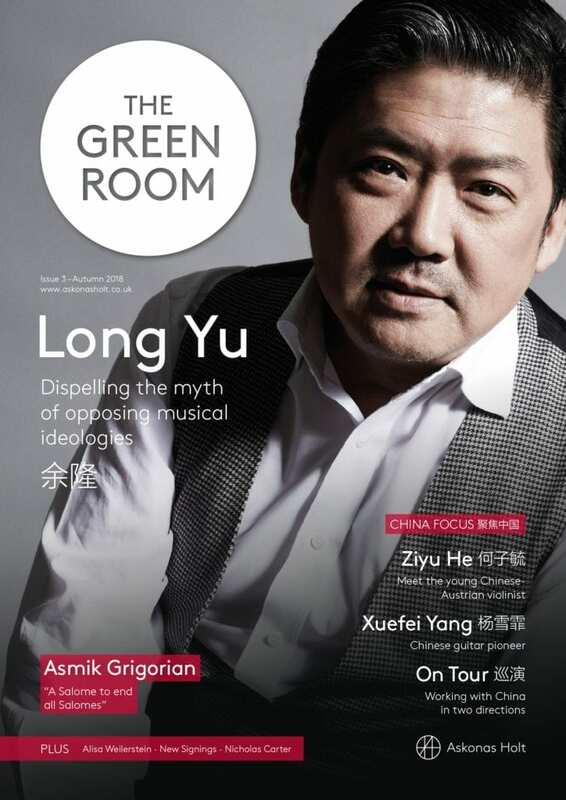 In the second edition of our new magazine, guest-edited by Phillippa Cole, we speak to new festival artistic directors Alison Balsom and Inon Barnatan, and festival veteran Lars Vogt, about their approaches in Cheltenham, La Jolla and Heimbach; showcase some of Yevgeny Sudbin‘s stunning photographs; and speak to actor and director Fiona Shaw, who gives us some insight into how she uses her theatre background to approach her opera directing work. And in a special USA focus, we drop in on a chat between James Gaffigan and Edward Gardner, shine a spotlight on mezzo-soprano Samantha Hankey and long-standing touring partner Alvin Ailey American Dance Theater, plus, discover Carnegie Hall’s newest programme for young musicians, NYO Jazz. 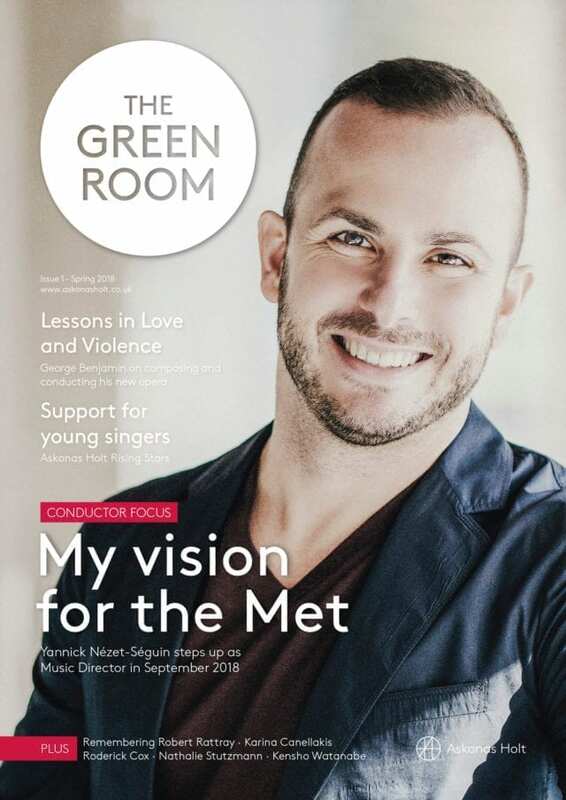 Yannick Nézet-Séguin talks to Rupert Chandler about the importance of showing love, his journey towards opera, freedom within discipline, and reflects on the dichotomy between opera and symphonic conducting; Sir George Benjamin offers insight on the interplay between composing and conducting; Nathalie Stutzmann tells us about how she realised her long-held aspiration to pursue a dual career as a singer and conductor; words of wisdom from young conductors Kensho Watanabe, Karina Canellakis and Roderick Cox; Tim Menah reflects on the new challenges for young singers in a digital age; and Sir Thomas Allen and Sue Spence pay tribute to our dear colleague Robert Rattray.